Some type of human error contributes to more than 90 percent of all traffic accidents that take place in the U.S., the National Highway Traffic Safety Administration (NHTSA) reports. While this type of human error commonly comes in the form of driver negligence, in some cases, the negligence of a trucking company may be to blame for causing or worsening a motor vehicle accident. 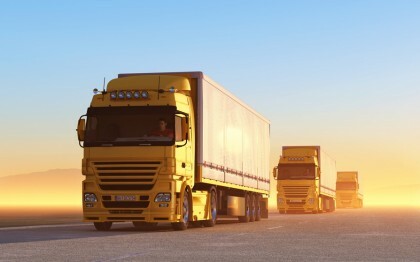 When people injured in traffic accidents suspect that any of these forms of trucking company liability may have contributed to their collision and injuries, it’s time to contact the Portland motor vehicle accident attorneys at the Savage Law Firm to learn more about their rights and potential entitlements. Failing to properly train drivers before sending them out on the road – Although commercial drivers may have some training from previous jobs, when they are newly hired by a trucking company, that company is responsible for ensuring that its drivers are trained on how to operate its trucks. Specifically, this can include (but is not limited to) training for drivers for defensive driving, loading and unloading trucks, securing hitches and inspecting trucks between driving shifts. When trucking companies fail to train their drivers and put inexperienced commercial drivers on the road, they can be held liable for compensating accident victims if the inexperienced trucker causes a traffic accident. When trucking company negligence causes motor vehicle accidents, contact the Portland motor vehicle accident lawyers at the Savage Law Firm. Failing to thoroughly screen drivers during the hiring process – Before trucking companies hire commercial drivers and put them behind the wheels of tractor trailers, they should be conducting background checks on these drivers. While conducting thorough screening of potential drivers can confirm whether a person has his commercial driver’s license, it can also highlight crucial facts about that individual’s driving record – like whether the person has a history of drunk driving, violating traffic laws or otherwise being reckless or irresponsible behind the wheel.When trucking companies fail to take this critical step during the hiring process, there is an increased chance that they can put unqualified or reckless people behind the wheels of semis and, as a result, endanger other motorists on the roadways. 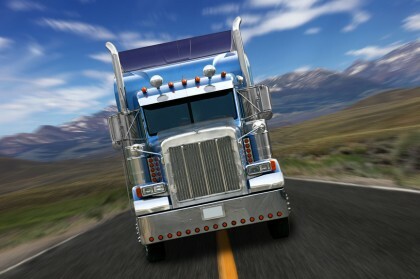 Encouraging drivers to violate trucking regulations – Both trucking companies and the drivers themselves are legally obligated to comply with state and federal trucking regulations (which govern everything from how toxic substances are hauled to how trucks should be inspected to the maximum number of hours drivers are allowed to drive before they are required to take breaks). In some cases, trucking companies may encourage drivers to violate these trucking regulations in an effort to try to get loads to their destination ahead of schedule. For example, trucking companies may offer incentives like bonuses to drivers who violate federal hours-of-service regulations if these drivers can deliver cargo before the deadline.When any violation of trucking regulations plays a role in causing a motor vehicle accident, the trucking company will likely be considered to be negligent and can be held responsible for compensating accident victims for their injuries and losses. If you have been injured in a truck accident or in any type of motor vehicle accident that may have been caused by negligence, the Portland motor vehicle accident attorneys at the Savage Law Firm are ready to fight for your rights to compensation. Since 1977, our lawyers have been providing each of our clients with the highest quality legal services, giving us the experience necessary to get you the results and compensation you deserve. Our Portland motor vehicle accident attorneys encourage you to learn more about your rights and case by setting up a free initial consult.